Over the past few years, I have spoken to many groups in Ireland and abroad. I have also contributed to shows on radio and television, and have contributed articles to various newspapers and websites. I will keep this section updated with any future events that may be of interest. 14 NOVEMBER I will host an event commemorating the life of journalist Peter Kilroy in Athlone Library at 8.30pm. Peter Kilroy's diaries will be given to the library by his daughter, Sr Anne Kilroy, while former Press Ombudsman John Horgan will speak on the role of journalism in Irish history. 11 NOVEMBER The Athlone Military History Society will host a day of talks and events to commemorate the end of the First World War. The programme of events will take place in the Shamrock Lodge Hotel. I will be one of many speakers and will give the keynote lecture (11.30am) titled 'A Global Tragedy'. 22 SEPTEMBER My latest radio documentary will be broadcast on Athlone radio on Saturday 22 September at 5.30pm. It is called 'A Tale of Fenian Dreams' and it follows the events that led to the so-called Fenian invasion of Canada in 1866. The programme contains the input of numerous experts on the period, such as Dr David Doolin of UCD. 21 SEPTEMBER I will be a guest of the History Department of the University of Newcastle on 21 September, where I will give a talk on the political and social thought of John Boyle O'Reilly at 11am. 6 JULY A new book, The Irish Regional Press, 1892–2018 edited by myself and James O'Donnell will be published by the Four Courts Press. 30 JUNE This year's Byrne-Perry Summer School will be held in Gorey Public Library on the 29th and 30th of June. 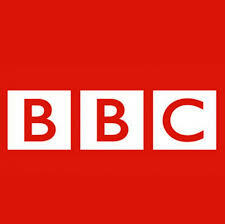 The Summer School will be opened by broadcaster and author John Bowman. I will speak on Saturday 30th at 10.20am on the topic of 'Editing Gorey400', a forthcoming publication devoted to the history and heritage of north Wexford. 24 FEBRUARY The Federation of Local History Societies holds its latest seminar in the Hodson Bay Hotel, Athlone, on Saturday, beginning at 10.30am. I will provide a welcome address, while a variety of speakers will discuss the importance of studying local history. 31 JANUARY The Revolution Papers comes to a close this month with a special edition on the Great Famine in Ireland. This edition carries six contemporary newspapers, as well as two television documentaries: When Ireland Starved by RTE; and the Emmy-award winning Ireland's Great Hunger, produced at Quinnipiac University. We wish to thank the many people who followed the series over the previous two years and 101 editions and almost 2 million copies. NOVEMBER During this month, the Revolution Papers will have articles on the background to the Mother and Child Scheme, Ireland's relationship with the British Commonwealth, and the Republic of Ireland Act, which was celebrated throughout the country in April 1949. NOVEMBER This month, History Ireland publishes its latest special edition on 'Ireland After the Rising', which contains a wide variety of authors, who examine Irish history during from Easter 1916 to the end of 1918. I have a contributed an article on newspapers during these years. OCTOBER This month's editions of the Revolution Papers will cover rural electrification in Ireland, the Marshall Plan, the First Inter-Party Government, the campaign against Tuberculosis and Eamon de Valera's anti-partition world tour. SEPTEMBER During September, the Revolution Papers will have articles on the fall of Nazi Germany, the atomic bombings of Hiroshima and Nagasaki, the foundation of the United Nations, and the rise of Clann na Poblachta. 1 SEPTEMBER - The Atlas of the Irish Revolution, edited by John Crowley, Donal Ó Drisceoil, and Mike Murphy, with John Borgonovo as associate editor, has been published by Cork University Press. The book contains over one hundred short chapters, each illustrated with rare photos and archival documents. The Atlas also contains over 300 original maps of the period between 1912 to 1923. Among the many contributors, I have articles on newspapers during the War of Independence and the Irish Bulletin. 26 AUGUST - I will be giving a brief talk on Irish history in Mount Temple Community Centre at 3pm on Saturday, 26 August. The talk is part of heritage day in the village. AUGUST - During August, the Revolution Papers has articles on the Holocaust, the Catholic Church during the Second World War, D-Day, Northern Ireland and de Valera's vision for Ireland. JULY - The United State enters the Second World War, Britain surrenders Singapore, the German army is defeated at Stalingrad. These topics, and life in Emergency Ireland, are covered in July's Revolution Papers. JUNE - This month, the Revolution Papers has articles on the beginning of the Second World War, the fall of France, the Battle of Britain, and the German bombing of Belfast. 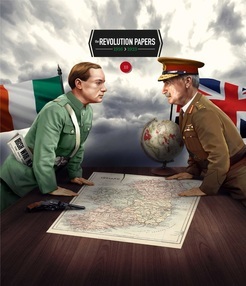 MAY - The Spanish Civil War, Britain's abdication crisis, Ireland's new constitution, the GAA and the economic war are discussed in this month's Revolution Papers. 1 May - I have an article in the latest edition of the Breifne Journal about the life and career of Cavan-born Patrick Donahoe, who became a leading newspaper proprietor in 19th century Boston. APRIL - The rise of Adolf Hitler, Ireland's Blueshirts and sectarian violence in both Irish states are covered in this month's Revolution Papers. MARCH - This month's Revolution Papers discuss Gandhi's Salt March, the foundation of the Irish Press, Fianna Fáil's entry into government and the Eucharistic Congress. 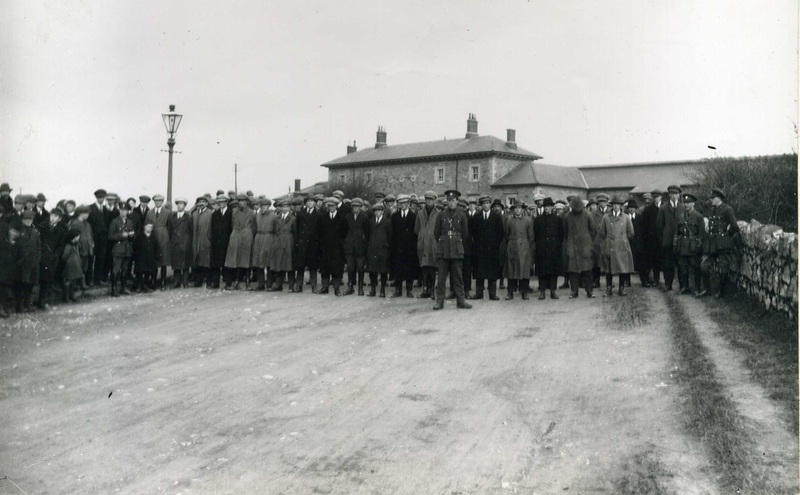 28 FEBRUARY - February 2017 marks the 95th anniversary of the handover of Custume Barracks, Athlone, from British to Irish forces. The Barracks is holding an open day to celebrate the event. I will be one of the speakers, talking about Athlone and Westmeath during the War of Independence. The talk is on at 4pm in the Kelly Square. Events run throughout the day from 9am to 8pm. FEBRUARY - This month's editions of the Revolution Papers cover the deaths of Kevin O'Higgins and Constance Markievicz, as well as literary censorship in Ireland and the ramifications of the Wall Street Crash. 31 JANUARY - Issue 57 of the Revolution Papers covers the rise of Fascism in Europe during the 1920s, focusing on Mussolini's Italy, Weimar Germany, Hitler, and Nazi anti-Semitism. This edition also carries an article on the Irish reaction to Mussolini's dictatorship. 24 JANUARY - The 1926 census both sides of the Irish border and the foundation of Fianna Fáil are discussed in Issue 56 of the Revolution Papers. 21 JANUARY - The second part of my history of Custume Barracks appears in the Westmeath Independent, running from 1914-2016. 17 JANUARY - The Boundary Commission of 1925 and famine conditions in Connemara are analysed in edition 55 of the Revolution Papers. 14 JANUARY - The first part of my history of Custume Barracks appears in the Westmeath Independent, running from 1691-1914. 10 JANUARY - Issue 54 of the ﻿Revolution Papers﻿ discusses the Army Mutiny of 1924 and the demise of the Freeman's Journal. DECEMBER - At 7pm on Tuesday 27 December, Wednesday 28 December and Thursday 29 December, Midlands 103 will broadcast my new radio documentary series, The Story of Custume Barracks. DECEMBER - My latest article in the Revolution Papers will appear on Tuesday 27 December (No. 52). OCTOBER - No. 40 of the ﻿Revolution Papers﻿ goes on sale on Tuesday, 3 October, and covers the Anglo-Irish Treaty of December 1921. 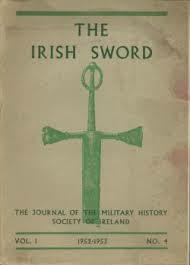 I have an article which covers that momentous event in the history of Ireland. OCTOBER - Athlone Community Radio are holding an open day devoted to Ireland in 1916 on Saturday, 1 October. At 4.30pm, I will give a talk on the press and propaganda during the period. OCTOBER - Ballinamore Public Library will host an exploration of the Easter Rising, 'Paths to Freedom' to Saturday, on Saturday, 1 October. Among the speakers will be Joe Duffy, Myles Dungan, John O'Keeffe, and Turtle Bunbury. At 12.30, I will be giving a talk on the press, propaganda, and the Rising. SEPTEMBER - On Saturday 3 September, at 1pm, RTE Radio One will broadcast We Could Not Understand The Peace, produced by Ronan Kelly and Stephen Kinsella. I researched the documentary with Stephen and it tells of his rediscovery of a period in July and August 1972, when 170 refugees from Belfast sought respite in Glenstal Abbey, County Limerick. AUGUST - No. 32 of the ﻿Revolution Papers﻿ goes on sale on 9 August and covers the events of Bloody Sunday, November 1920. I have an article which covers the reactions to that extraordinary day. JULY - Check out this article and interview with John Gorman in Time. John, a veteran of the 1961 Siege of Jadotville, is part of my upcoming documentary on Custume Barracks, Athlone. JUNE - I have an article in No. 26 of the Revolution Papers concerning the increased violence in Ireland during spring 1920 and the arrival of Hamar Greenwood to the country. JUNE - I have an article in No. 23 of the Revolution Papers dealing with the press during the Irish War of Independence. JUNE - On 2 June 2016 Fort Erie, Ontario, will host an interdisciplinary conference marking the 150th Anniversary of the Battle of Ridgeway and the Fenian attacks on Canada. I will be one of the speakers and the conference will be part of a festival of events marking the history of those remarkable times (see fenians150.com). MAY - On Friday, 20 May, King House in Boyle, Co. Roscommon will host 'Paths to Freedom', a day of lectures on the 1916 Rising and its legacy. I will be one of the speakers, along with Myles Dungan, Catriona Crowe, John O'Keeffe, Damian Shiels, and Jonathan Creasy. The event is free and begins at 10am. MAY - I will act as host of the Africa Centre's 14th annual public lecture in the Gresham Hotel on Wednesday, 11 May. The speakers will be Selena Carty, founder of the Black Poppy Rose project and Dr Brian Hanley, historian and author. The event begins at 7pm. APRIL - The Old Athlone Society and Pegasus Communications will host a day of talks entitled 'Paths to Freedom' at the Sheraton Hotel, Athlone, on Saturday 2 April, beginning at 10.15am. I will be one of the speakers, talking about propaganda, censorship, and the 1916 Rising. APRIL - I will be on the Will Faulkner Show on Midlands 103 at 9.30am on Friday, 1 April. Along with Gearoid O'Brien, we will be discussing some of Westmeath's connections the 1916 Rising. MARCH - As part of RTE's 'Reflecting the Rising' series, I will be one of the speakers in the National Library from 4pm on Easter Monday, 28 March. I will be talking about the media and censorship during and after the 1916 Rising. MARCH - As part of the Irish Examiner's ongoing series of articles and supplements related to the Easter Rising, I have an article in today's paper, 28 March: 'Leniency will be taken as an indication of weakness'. MARCH - On Saturday 26 March, I will be speaking with Frank Murphy on Radio Fremantle at 1am to discuss John Devoy, John Boyle O'Reilly and the Catalpa Rescue of 1876. FEBRUARY - At 8pm on Friday 26 February, I will give a talk titled 'From Appomattox to Wounded Knee' to the Rathkeale Historical Society. FEBRUARY - I will be speaking at the Old School House, Slane, at 8pm on Thursday, 25 February. I will be talking about John Boyle O'Reilly and some recent discoveries related to his life in Australia. FEBRUARY - On Monday 25 February, I will be one of the speakers at the 'Paths to Freedom' event in the civic centre, Tubercurry. I will be speaking at 11.15am on censorship and the media during the Easter Rising. FEBRUARY - I will be speaking on Limerick 95FM at 8.30am on Saturday 23 February about some aspects of the Irish in the United States during the nineteenth century. JANUARY - Galway Bay FM will broadcast my documentary, You are to be Shot at Daybreak, on Saturday 2 January. The programme will be broadcast during the 'Best of Keith Finnegan Show' beginning at 8 am. It examines the long history of the Connaught Rangers and the mutiny which led to the execution of Private James Daly in 1920. The last edition of the Connacht Tribune for 2015 has published a feature on 'You are to be Shot at Daybreak', my latest radio documentary, excerpts from which can be found here. I will be speaking at Custume Barracks, Athlone, at 2.40pm as part of The Old Athlone Society's conference on the history of Athlone. The keynote address will be provided by Mr. Justice Adrian Hardiman, with other speakers including Pat Wallace, Padraig Lenihan, Gearoid O'Brien, Rory Sherlock, Harman Murtagh, and Ruth Illingworth. I will be giving a history of the barracks from the 1690s to the 1930s. The Old Athlone Society has published the latest edition of its journal, whose contents are entirely devoted to the Irish Civil War. The contributors include John Regan, Ann Matthews, Patrick Murray, John Burke, Gavin Foster, Seosaimhi Ni Mhuiri, and Pat McCarthy, with a foreword by Michael McDowell. I have a chapter entitled 'A Medium of Enemy Propaganda' which looks at newspapers and media control but which also examines the controversy surrounding the fatal shooting of George Adamson. At 8pm, Thursday 19 November, I will give a talk at the Mechanics Institute, Galway. The lecture is titled: 'We Kill All Our Own': censorship and propaganda before and after 1916. Athlone Community Radio are holding a day of events related to Ireland in the First World War. The event, 'Rations and Fashions' will be held at the Shamrock Lodge Hotel, on Saturday 14 November. At 11.30am, I will be speaking about censorship and propaganda during the war. David Davin Power, political editor RTE, will launch The Old Athlone Society's forthcoming conference on the history of Athlone. The launch will take place at 6pm, Tuesday 27 October, in the Luan Gallery, Athlone. At 10am on Monday 19 October, I will give a guest lecture in DCU on Irish journalism during 1914-1923. At 3.30pm on Sunday 18 October, I will be speaking as part of this year's 'John Boyle O'Reilly Autumn School' in Millmount Museum, Drogheda. I will offer some updates on the latest research into O'Reilly and, seeing as the theme of this year's school is 1916, I will also talk about his attitude to revolutionary violence. 'Shall the punishment fall on the girl alone', a new exhibition which I have written, and which is being held in Drogheda's Millmount Museum, remains open until the end of October. The exhibition displays details of the recently discovered John Boyle O'Reilly letter. On Saturday 26 September I will be one of the speakers at the LaTouche Legacy Festival of History which is being held at Gresystones Golf Club. The keynote speaker is former Taoiseach, John Bruton. I will be speaking about propaganda and censorship in the First World War. At approximately 8.15am on Saturday 19 September I will be speaking with Frank Murphy on Radio Fremantle, Western Australia. We will discuss John Boyle O'Reilly, Jessie Woodman, and the newly discovered insights into their time together, including O'Reilly's suicide attempt and Woodman's pregnancy. At 8pm on Wednesday 16 September I will open a new exhibition in Drogheda's Millmount Museum. The exhibition, 'Shall the punishment fall on the girl alone', displays the recent discovery, in San Francisco, of a letter written by John Boyle O'Reilly. The letter provides some extraordinary new insights into O'Reilly's life. I have just produced a new radio documentary, 'You are to be Shot at Daybreak', which examines the history of the Connaught Rangers in the British Army, the mutiny of 1920, and the current decade of centenaries. The programme was recorded in Silverwood Studios and will be broadcast by Galway Bay FM at a later date. 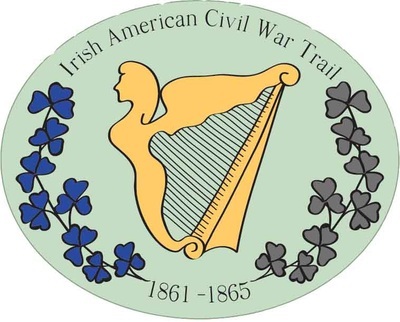 Cavan Public Libraries will host 'Cavan and the American Civil War' on 5 and 6 August. A keynote speech will be provided by Dr. Patrick Fitzgerald of the Mellon Centre for Migration Studies. Speakers include Brendan Scott, David Murphy, Aidan O'Hara, Damien Shiels, Ian Kenneally, and Myles Dungan. I will give a talk titled, 'North and South: Ireland and the American Civil War'. On the evening of 6 August, Myles Dungan, and Matthew Gilsenan of the Celtic Tenors, will host a musical evening, 'The Fighting Irish'. The Kildare Street and University Club will host a literary evening devoted to Kathleen McKenna and the Irish Bulletin at 7.30pm on 24 March. I will be speaking about the newspaper, while Tim McKenna will talk about the life and times of Kathleen McKenna. On 18 March I will talk to the Old Drogheda Society about Irish involvement in the US army from 1865 to 1890. The talk, 'From Appomattox to Wounded Knee', will start at 8pm in the Governor's House, Millmount. I will be a guest of Seamus McKenna on Athlone Community Radio's 'On the Couch' at 4.30pm on Saturday 24 January. On Wednesday 14 January I will give a talk titled 'Irish Soldiers, American Wars - from Buena Vista to Wounded Knee' to the Old Athlone Society. The location is The Officers' Mess, Custume Barracks and the talks starts at 8pm. DCU will host a conference organised by myself and a colleague, Dr James O'Donnell. The conference, 'The Irish Regional Press - Past and Present', will include speakers from Ireland, the UK, and Canada. The keynote speech will be given by Dr Donal O'Drisceoil of UCC. A full schedule can be found here. Frank Murphy of Radio Fremantle will broadcast my documentary 'The Cry of the Dreamer' at 9pm on Saturday 6 December. The annual conference of the Newspaper and Periodical Historical Forum of Ireland will be held in UCC over 21 and 22 December. I will be giving a talk titled: 'The Pilot: a case study of an Irish-American Newspaper', covering the Boston newspaper's history in the nineteenth century. 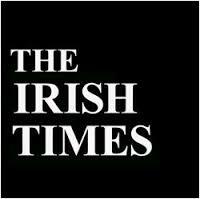 Here is a recent article that I had published in The Irish Times about the press, specifically the Irish Independent, during the War of Independence. The National Library of Ireland recently published my article on the Irish Bulletin newspaper. Felix Larkin, editor of 'Periodicals and Journalism in Twentieth-Century Ireland', was interviewed by Peter Murtagh in The Irish Times on Saturday 8 November. The interview can be found here. Professor Terence Brown will launch the collection 'Periodicals and Journalism in Twentieth-Century Ireland', edited Mark O'Brien and Felix Larkin. 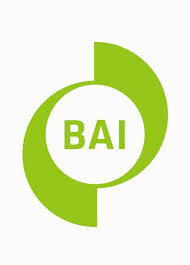 The launch takes place at 6pm on Tuesday 4 November in the Royal Irish Academy. My chapters covers the Irish Bulletin. Weekend on Saturday 25 October. The series at 2pm and my topic is 'Selling the First World War': a look at the various means by which warring nations sought to control and manipulate the flow of information. 'The Cry of the Dreamer', my radio documentary on John Boyle O'Reilly, will be broadcast on LMFM at 9am on Bank Holiday Monday, 27 October. The hour-long documentary, in which O'Reilly is played by actor Fergus McDonagh, covers many aspects of O'Reilly's life Ireland, England, Australia, and the USA. At 9am on Saturday morning (Perth time), 25 October, I will be speaking with Frank Murphy on Radio Fremantle about my new radio documentary on the life of John Boyle O'Reilly. The University of Sheffield will hold a media conference titled 'Communities of Communication: Newspapers and Periodicals in Britain and Ireland from 1900 to the Present' over 11 and 12 September. I will be speaking on the Friday about the 'mosquito press' in Ireland from 1914-23. On Monday 8 September, I will present this year's 'Jeremiah Sheehan Memorial Lecture' to the Moate Historical Society. The talk which covers aspects of the Irish Civil War in the Midlands begins at 8.15pm in the Grand Hotel. 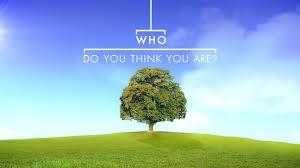 BBC will broadcast Brendan O'Carroll's episode of 'Who Do You Think You Are' at 9pm on Thursday 28 August. I was lucky enough to be able to help Brendan uncover some aspects of his family history. It is a great story involving his grandfather, Peter O'Carroll, and the Irish War of Independence. During the show Brendan tries to find who was responsible for the death of his grandfather in 1920. July 16 - I have finished recording and mixing a radio documentary titled 'The Cry of the Dreamer' on the life of John Boyle O'Reilly. The documentary, part funded by the Broadcasting Authority of Ireland and a number of local businesses, will be broadcast on LMFM later in the year. The documentary contains interviews with many experts on O'Reilly's life, as well as readings of his speeches and poems. I will be speaking about the 'Irish in the American Civil War' to the Kilkenny Military History Society: 8pm in the Clubhouse, Kilkenny. On Sunday 2 February at 11am I will be speaking about the Irish Civil War and the media with Austin Comerton on Ottawa's CHIN Radio. University College Cork hosts a major conference on Ireland and the First World War over 24 and 25 January. I will be one of many contributors to a conference which will cover a wide range of topics related to the war. On Saturday 23 November The Old Athlone Society will host a conference on the 'Irish Civil War and the Midlands'. I will be one of the speakers alongside John Regan, Bill Kissane, John Borgonovo, John Burke, Ann Matthews, Patrick Murray, and Gavin Foster. I will be speaking with Dorothy Cole on The Arts Show, Dublin South FM, on Thursday 17 October at around 7.30pm. We will be discussing the life and times of John Boyle O'Reilly. The Old Athlone Society will launch the forthcoming Irish Civil War in the Midlands conference at the Royal Irish Academy on 8 October at 6.30pm. The launch of the conference, which will be held in Athlone's Custume Barracks, will be conducted by Mr Justice Adrian Hardiman. The Parnell Summer School will run from 11-16 August and this year's theme is 'Parnell and Kennedy: Lost Leaders'. As part of the programme I will give a talk on John Boyle O'Reilly at 11.30am on Wednesday 14 August. As part of The Drogheda Fenians Return festival I will give a talk on 'The Social and Political Thought of John Boyle O'Reilly' in the Tholsel at 1pm on Thursday 11 July. The talk will examine O'Reilly's attitudes to civil rights, labour rights, and women's suffrage. On Friday 3 May Gleeson's Townhouse in Roscommon town will play host to the conference 'For Flag and Country – The Emigrant Irish in Military Service'. I will be one of a number of speakers and will speak about 'Irish Soldiers of the American Civil War'. On Saturday 13 April, at 2pm, I will give a talk titled 'Irish Soldiers, American Wars' to the South Tipperary Military History Society in Clonmel. The talk covers the period of 1865 to 1890 and includes topics such as the Fenian raids on Canada and the Irish in the United States army. David Flynn of the Westmeath Independent interviewed me for the edition of 16 February. We discussed Irish history as part of the 'Independent People' section. Damien Quinn will give a talk on his research into the Connaught Rangers regiment at The Prince of Wales Hotel, Athlone. The talk, at 8pm on 14 November, is being hosted by the Old Athlone Society and all are welcome. In the November edition of Irish Historical Studies I reviewed John Dooley's Civil War by Robert Emmett Curran. If you have an interest in the American Civil War the book is well worth reading. I will give a talk on the War of Independence in Westmeath to the Moate Historical Society on Monday, 22 October. It is on in the Grand Hotel at 8.15pm. Eamon Dunphy will launch the new edited collection Independent Newspapers: a history on Monday 8 October. The launch starts at 6pm in Royal Irish Academy, Dawson Street. On Wednesday 4 October I will present a seminar paper titled 'Westmeath 1918-1921: the role of the IRA and the response of the Crown forces'. The talk starts at 4pm in the Moore Institute, NUI Galway. On 14 August I will be a guest on Newstalk's The Tom Dunne Show with presenter Sile Seoige. I will be discussing the life of John Philip Holland at around 10.30am. The Media History Conference will be held at Aberystwyth University, Wales, from 4-7 July. I will deliver a paper called 'Defenders of order?' which examines the role of national newspapers during the Irish Civil War. 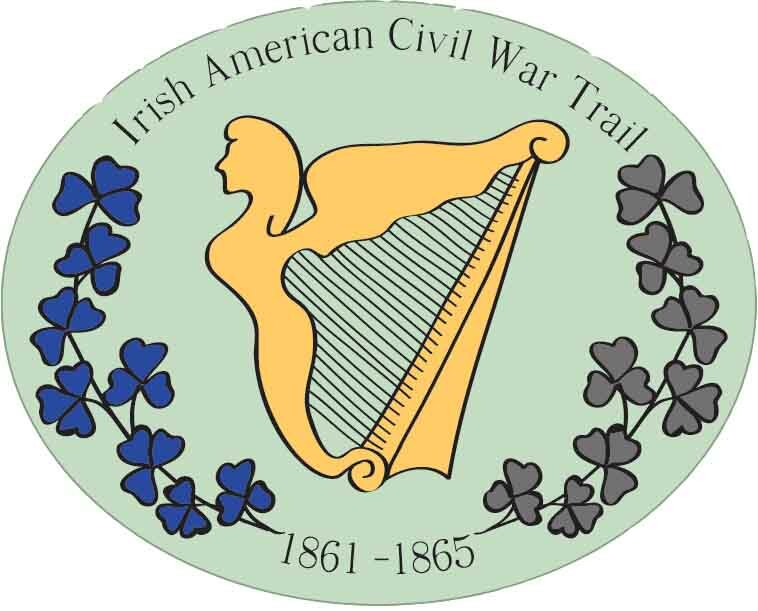 Waterford's WLRFM has invited me to speak about the American Civil War and the proposed American Civil War trail in Ireland. I will be speaking with Ian Noctor on his show at around 4.35pm on 12 March. On Saturday 28 January, the John Boyle O'Reilly Society of Ireland will hold 'From the Earth, A Cry; a symposium on the life of JB O'Reilly'. It will be held at the Westcourt Hotel, Drogheda, from 9.30am to 2pm. I will be speaking along with Dr. David Doyle of UCD, former Taxing Master James Flynn and Michael Kenny of the National Museum. The Drogheda Independent covered the event. On Friday 13 January I will give a talk to the Military History Society of Ireland on 'Bayonets and Bulletins: journalists and the Irish Revolution'. The lecture is on at 8pm at Griffith College, Dublin. Non-members of the society are welcome to attend all lectures. ﻿On 26 November Custume Barracks, Athlone, will host the Old Athlone Society's conference on 'The War of Independence in the Midlands'. My contribution will cover Westmeath during those years. There will be a launch of the new edited collection, Irish Journalism before Independence, at 6pm on Tuesday 8 November in the United Arts Club, Dublin. Pat Rabitte, Minister for Communications, will launch the book. I will be discussing JB O'Reilly's career and From the Earth, A Cry with Patrick Geoghegan on Newstalk's Talking History show at 8.30pm on Sunday 9 October. We will be having a Galway launch of From The Earth, A Cry in Dún Uí Mhaoilíosa, the Irish Army Barracks in Renmore, at 7pm on Thursday 6 October. I will be giving a brief talk on O'Reilly's life which will be followed by readings of some of his speeches and poems. Journalist Penny Cronin has a feature on JB O'Reilly and From The Earth, A Cry in the Weekend section of today's (1 October) Irish Independent. TG4 will show director Kieran Concannon's documentary on John Riley and the San Patricios at 9.30pm on Sunday 25 September. I will be one of the contributors to the show which follows in the footsteps of Riley from Galway to Mexico. Check out the ﻿Irishman's Diary﻿ section of The Irish Times (20 September 2011) for my article on John Boyle O'Reilly and his role as a civil rights advocate in the United States during the 1870s and 1880s (subscription to The Irish Times required). The Gutter Bookshop in Temple Bar will host the Dublin launch of From The Earth, A Cry: the Story of ﻿John Boyle O'Reilly﻿ on 20 September at 6.30pm. Tim Pat Coogan will launch the book and all are welcome. Click above to see the Wild Geese website's report on the launch. I will be on LMFM's Late Lunch with Gerry Kelly at 1.45pm on Friday 26 August to discuss the life and times of JB O'Reilly. On Friday 26 August, at around 11.15am I will be on the Pat Kenny Today show where I will be discussing From The Earth, A Cry with guest presenter, Miriam O'Callaghan. On Sunday 12 June I will be a guest of Talking History on Newstalk where I will be part of a panel discussing some relatively unknown figures from Irish history. On Wednesday 20 October at 8.30pm I will be giving a talk on the San Patricios to the Carrick on Shannon and District Historical Society. NUIG Galway will host a seminar about Culture and Politics in Ireland and the British Empire on 14 May. At 10.30am, I will be contributing a talk titled: 'Truce to Treaty: Irish journalists and the peace process of 1920-21'. 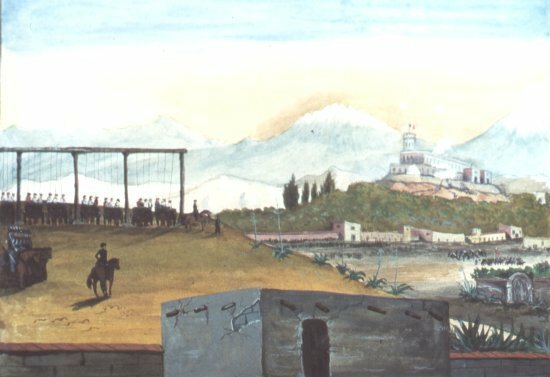 Galway City Museum has invited me to give a public lecture about John Riley and the San Patricios. It will be on at 7.30 on Thursday, 25 February and entry is free. I will be chatting with Keith Finnegan about the San Patricios and also the Connaught Rangers during his show on Galway Bay FM during the morning of 25 February. I will be a guest of Patrick Geoghegan and Lindsey Earner-Byrne on their Talking History show on Newstalk Radio at around 8.40 on Sunday 6 September. Pat Kenny will have me as a guest on his morning show on RTE Radio 1 at around 11am on the 17 August. We will be discussing some of the stories contained within Courage and Conflict. I will be talking with Tom McGurk on 4FM around 6pm on the 23 July to discuss Irish involvement in the American Civil War. You may be interested in an article I had in today’s The Irish Times (21 January). It is one of many pieces in the paper’s supplement on the first Dáil Éireann in 1919. My piece covers press reaction to the opening of the parliament. I will be a guest of Patrick Geoghegan and Lindsey Earner-Byrne on their Talking History show on Newstalk Radio at 8.30pm on Sunday evening, 16 May. We will be discussing newspapers, censorship and propaganda during the Irish War of Independence as examined in my book, The Paper Wall.